QUADRA (1964) The 50 ton 64 foot wooden oil screw fishing vessel Quadra was destroyed by a tidal wave March 27, 1964 at Kodiak. QUEEN (1955) The 8 ton 29 foot wooden gas screw fishing vessel Queen was consumed by fire September 30, 1955 at Cordova. QUEEN KATHLEEN (1959) The Vancouver B C fishing vessel Queen Kathleen wrecked on the rocks west of Unimak Pass August 1, 1958. 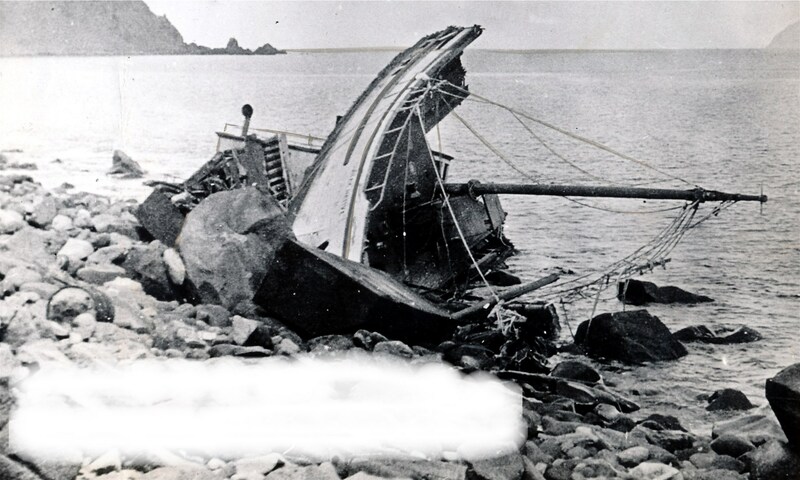 The crew of eight men was rescued by the Western Pioneer and taken to Cape Sarichef Light Station on Unimak Island. QUIN DELTA (1997) The 90 foot fishing vessel Quin Delta was consumed by fire July 26, 1997 in Bristol Bay. All three crewmembers escaped to a life raft and were rescued by nearby fishing vessels.